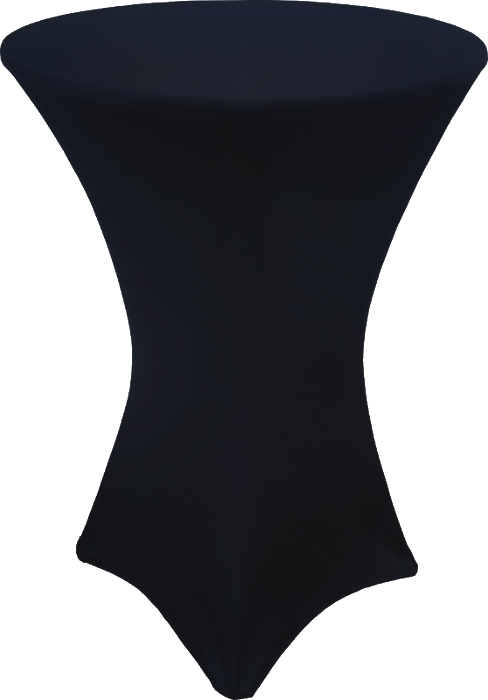 Dress up your party, trade show, or wedding with this black spandex linen. This linen is meant to be used with tables that have a 4 prong "star" base. There are elastic "foot pockets" in the bottom of the spandex to insure the linen is locked in place.